History of the Estrella Family Creamery - Hartke Is Online! A small family farm which produces old world style raw cheeses from grassfed goats and cows is now at risk of closing due to an FDA seizure order. I thought you’d like to hear the charming history of of Estrella Creamery cheese in Washington state. Kelli and her husband, Anthony were planning a move, so that Anthony could go to Log Home Building School. But, they had 2 horses, 12 rabbits, 4 goats, plus some adorable baby goats. This led Kelli to pray, and seek answers as she had so many times before. Kelli and Anthony grew up in the San Francisco Bay area, where they got into a lot of trouble with drugs and alcohol and the party scene. When an acquaintance went to jail on murder charges and others around her were involved in stabbings and accidents, Kelli decided, “I am getting out of here.” Kelli couldn’t abide the person she had become. She convinced Anthony and together they decided to create a new life. They packed a few belongings and loaded them in her pickup truck. They headed to Washington state, where Kelli’s mother lived. Kelli knew her mom, being a Christian, would be willing to help them start over. Kelli started reading everything she could get her hands on, determined to chart a new course. One of the books she came across was The Family Cow. She came to believe that she needed to replace her former appetite for drugs with a new craving for healthy, nutritious food. Anthony proposed marriage and the young couple wed. On their Victoria B.C., honeymoon, Kelli announced to Anthony that she wanted a family cow. During their trip to Vancouver, they acquired a book on the survival skills of early Americans, Back to the Basics published by Readers Digest . Anthony began dreaming with her. He was keen to raise rabbits, just as his father had done. It was when they got to the chapter on draft horses that they decided they wanted those, too. The eager couple wanted to do it all–including building a log home. This was 25 years ago. Penniless but with high hopes and big dreams, they started married life back in Poulsbo, Washington, in a motor home borrowed from Anthony’s mother. They were happy to be away from their former life of drugs and starting out as a married couple with clean consciences. Wanted: Retired Couple to Serve as Caretakers for a Small Farm, 7 acres, chickens and a large garden. Kelli called and asked for an interview, knowing full well they were looking for a mature couple. But, she felt this was their chance to live on a farm, and she convinced the owners to grant them an interview. The couple met with Anthony and Kelli and gave them a tour of their property. First stop, the laying hen house. Kelli reached in a nest box and took out a freshly laid egg. She was amazed by the feeling of warmth coming from the egg. The farm was perfect, and Kelli and Anthony were thrilled. Their enthusiasm landed them the caretaker job. Kelli and Anthony moved into a cozy little house on the owner’s property. They took care of chores, worked in the garden, cut firewood. They convinced the owners to let them get rabbits, which they put in the back yard. Then, they sold the owners on letting them add a goat pen and found a few free goats through ads in the newspaper. One of the goats was producing a little milk. Kelli had only milked a goat once before, and they didn’t know how to get it to stand still. They knew nothing about stanchions so they tied each of the rear legs to the pillars of the front porch and Anthony grabbed the goats head and held it still by the horns, while Kelli did the milking. They succeeded in getting a meager 1/3 cup of milk out of the goat, and it tasted awful. Many goats later, she learned that goats milk is delicious, and that an off taste is not normal, and probably the reason the goat was “free”. When the goats started having babies, Kelli fell in love, “baby goats are the sweetest treasures on earth,” she effuses. When Anthony decided to go to log home building school, the Estrella’s left their one year stint as small farm caretakers and moved temporarily with their animal menagerie to a friend’s home. This is where she had her encounter with God in the Noah’s Ark book. Encouraged with the words that God would find a place for their animals, they set off for Monroe, Washington, the town where Anthony would learn the basics of building a log home. They drove into Monroe, and came across a log house, they went and knocked on the front door and asked the owners if they could have a tour of their home. As it turned out, they were Log Home Building school graduates. They became friends, and offered Anthony a job finishing their cabin in exchange for the right to park their mobile home and board their animals on the 5 acre property, while Anthony attended school. The owners of the log cabin let them glean from the garden whatever produce they needed. Kelli and Anthony shared with their hosts their goat milk and rabbit. They ate lots of rabbit, rabbit stew was a favorite meal with carrots gleaned from the garden, and frothy glasses of fresh goat milk. They were broke, but well fed. At this point they were not selling rabbit meat to others, but made money by selling breeding stock. They also entered their prize rabbits in shows. The excited young couple shared their bounty by bringing big platters of rabbit meat to church suppers. After graduating, Anthony landed his first job, which was building a house on Whidbey Island. Once they moved there, Kelli and Anthony went to find a place for the animals and came across a huge barn. It belonged to the pastor of the local Assembly of God church, who gave them the barn at no charge, to house the animals. It was so big they proceeded to expand their rabbit farm to 100 rabbits! Anthony and Kelli built the house together. It took a year. Their farm animal collection grew. They bartered for all the animals: a flock of chickens, a pig, a couple of sheep, and, a team of Shire Horses, their first draft horses. There was no other work for Anthony on the island and land was expensive. It was time to move again. Kelli studied the map and saw Joyce, Washington on the tip of a peninsula. The energetic young couple jumped in the truck and set off to explore the possibilities. She went in to the store where a bunch of loggers were shooting the breeze. She asked the men if there was any place to rent. They looked at her, not sure whether to answer. Then one man spoke. Their motor home home had become cramped. By that time, Kelli was a beginning cheese maker and Anthony couldn’t even get to the sink to wash his hands with the cheese bags dripping over it. So they built a rustic plywood room with a tarp ceiling, inside the barn. They mounted a wood cook stove and installed a barrel stove for heat. Anthony started to work as a logger and logged with their draft horses. Later, Anthony added a second story to their home inside the barn. Five years later, Delman sold them the property, with Kelli’s Dad as an investor. They lived there for 7 years. One time, when her dad came to visit, Kelli exclaimed, “I feel so rich Dad,” and he just laughed. After all, they were still using an outhouse. But, she was so proud of her big garden, and she couldn’t believe that she was growing her own broccoli. Their barn-house was really very nice, and they enjoyed entertaining friends in their unique home. Kelli says, “I was really fascinated by cheese from the very beginning. The book that got me started was Cheese Making Made Easy. It was very basic, teaching how to make the cheese, and how to wax the cheese. It gave one the impression that all hard cheeses should be waxed.” She admits her cheese was very marginal in the beginning. But, Kelli really wanted to make good cheese, in thinking back about her earliest batches, she is surprised she didn’t quit. They adopted Samuel their first son. Anthony took a job 3-4 hours away because of the family’s financial needs. They sold their house-in-a-barn to move closer to his work in Lakebay. They bought 5 acres of raw land and lived with little Samuel in a cabin attached to an RV (with a special cheesemaking room) for 3.5 years. The Estrellas, then built their dream home from the ground up. They had a beautiful view of Mt. Ranier, and an incredible garden with a fountain in the middle. A new neighbor, a Frenchman and an airline pilot (he was also a winemaker,) started giving Anthony and Kelli French cheeses he brought back from his flights to France. He wanted to inspire Kelli to make better cheese. The family adopted their 2nd daughter Melody, and Kelli remembers holding the baby while she studied a French cheese making book. She decided the secret to better cheese was a proper cheese cave. She asked Anthony to dig her a root cellar, under the house for a cheese cave. Anthony’s reaction? He wished she had thought of it before they built the house. One day, she heard the chain saw going, and Anthony was cutting a hole in the floor for her cave! She used wire cages to store the cheese in the new cellar. The cave had a nice air flow and the temperature was cool. For the first time her cheese came out with the perfect bloomy white rind. Her cheese was finally growing the mold she could never get before. Kelli got excited about taking her cheese to the farmer’s market so she called the county inspectors and asked for their help. They were very helpful and encouraging. She added a cow to the farm to try making more than goats milk cheese. Building a family by adoption is expensive, and logging is a dangerous job, Kelli didn’t want her husband doing that forever. Making cheese seemed to be the best way to build for their future. They searched and found a 164 acre farm on the Wynoochee River. Kelli describes it as the most beautiful farm she has ever seen. For three generations it had been a dairy farm. At one time, the Grays Harbor county was populated with 540 dairies. According to the locals, more grass is grown in the county, without irrigation, than anywhere in the nation. They walked into the dark rusty barn, it needed lots of work. But they could envision the cows coming in and going out of the barn. The milking parlor was still intact, but only designed to milk 3 cows at a time. It was perfect. “We didn’t even look at the house. The good farmland and that milk parlor were all we needed to see,” Kelli explains. Then the couple came up with a plan. After much prayer, the couple made an offer on the farm, not sure how they were going to make it work. Kelli’s father found out, and offered to invest in the farm so his grandchildren wouldn’t grow up in a silo. Kelli now says, that without his help, there is no way they could have swung it. They sold their dream home, and finally got the farm that Kelli had prayed for as a new bride. The Estrella family moved onto farm in the year 2000, but it took them three years to obtain a grade A license. Anthony returned to logging to support the family. Kelli was home, tending to 6 cows, 12 goats 3 little kids. “It was unbelievably hard and scary,” she remembers. Neighbors wanted to buy their raw milk but they couldn’t sell it because it was illegal. The Estrella’s sold a lot of calves to make ends meet. They built the cheese facility from scratch, which was difficult with no money. Another storm took down 150 trees on the farm, destroying all their fencing. The 140 mile-an-hour winds ripped off their back porch, and damaged the roof over their boys room, allowing water to gush in. It tore the roof off of their goat barn with 50 pregnant goats inside. During the fierce storm, the family had to relocate the mama goats to the barn, which was already crowded with sheep. In the midst of it all, it seemed like they would never get their grade A. “We did everything ourselves, started with one 40 gallon stainless steel vat.” With 17 years of only hobbyist experience going into this, Kelli sought the advice of numerous dairy consultants. In 2003, once her license was finally in hand, Kelli started making 3 cheeses. The timing was perfect. Restaurant chefs were just beginning to talk about local food sources. Kelli had challenges as a new cheese maker. Wintertime blue cheese is different than summertime. She lost thousands of dollars trying to learn the recipes. Learning this craft over the generations is very suited to cheese making, and she didn’t have that advantage of coming from a long line of cheese artisans. So, she tried new cheeses often, and used the process of discovery to figure out what to make. Any cheese that turned out, she named it, and it became one of her offerings. Estrella Creamery has three refrigerated rooms, a stainless steel cargo container and a floral cooler with higher humidity. Kelli consulted with Herve Mons, who is an affineur (an expert in cheese aging). She sought his advice on how you care for the cheeses as they are aging. She also asked him what things are important in an underground cave. He told her one secret used by the fine cheesemakers in Europe is rough cut wooden shelving. The wood would be a living home for beneficial bacteria. Following his advice, she chose to make her shelves from spruce trees from their property. Herve also said the ceiling should be curved to encourage circular air flow through the cave. As cheese ages, it is always off-gassing and putting off heat, so a slow but constant air exchange is needed. The Estrella’s hard work and ambition paid off. With an expanding cheese list, a following of top chefs, and the praise of top industry people, they started going to competitions. Estrella Creamery competed against 2400 cheeses in World Cheese Awards in Dublin, Ireland 2008. The little family creamery with 5 years in business competed against cheeses with 100 year histories. Estrella took Gold twice, and Silver three times! As they entered more competitions, Estrella Cheese garnered more awards. Today Kelli and Anthony have 6 adopted children. Three of the children were adopted at birth here in the United States. Five years ago they adopted three more children (at once) from Liberia at the time they were 10, 12, 15 years old. Kelli says that she saw many answers to prayer during the process of growing their family. With faith, perseverance, and amazing fortitude, the Estrella family has built the farm of their dreams. All of their family enterprise is now on the verge of financial disaster, because of the recent FDA actions. Please help the Estrella Creamery survive by donating to a volunteer-led Save Estrella Creamery fund raising campaign. All proceeds go directly to the family for charitable relief and legal fees. At this time they are working toward a settlement with the government agency, which will allow them to get back to their business of fine artisan cheese making. 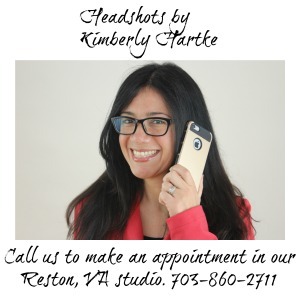 Kimberly Hartke is the publicist for The Campaign for Real Milk, a project of the Weston A. Price Foundation, a nutrition education non-profit. Please see the Backgrounder on the Estrella case and Press Release, FDA Issues Destroy Orders with No Proof of Harm on the Farm-to-Consumer Legal Defense Fund site. This post is part of the Fight Back Friday blog carnival, see more food activism on Food Renegade blog. Thank you Kimberly for this; such a wonderful story of faith, hard work, and perseverance! I wish the Estrella Family well, and will be contributing what I can-we need to protect small family enterprises like this, and save the family farm!!! Very uplifting story, Kimberly. Thanks for searching it out. The good news is that the Estrellas have been through enough tough episodes in their lives that they know what it’s like to battle adversity. In their current battle, they will fortunately have lots of support. very interesting article. I wish more was explained about their relationship with the Lord. This was informative though. thank you for posting this Kimberly. I have been drinking raw milk since my childhood in the Seattle area, with only a short time as a young adult where it was not available to me. We owned a dairy goat as our children grew up. We are healthy and happy and many of our children/grandchildren are carrying on the family raw milk tradition. It is gift for us to enjoy healthy children who are making music, dancing, and furthering their education while enjoying healthy foods. I consider this an outright act of war by the FDA. We need to defend against this specific act of unmitigated tyranny. I should point out that no federal agency, agent, bureau, department, officer, or other manifestation of this foreign power, EVER has an ounce of authority or jurisdiction outside of federal land – defined as the 10 square mile area around Washington D.C. and military bases. The county sheriff has an absolute duty to stand up and defend these people against the unlawful encroachment of a federal agency into and upon the sovereign state of Washington, and against the People of Washington. Thank you, Kim, for posting this moving and important story. I would be happy and honored to eat this fantastic cheese! It is horrifying that the government is trying to destroy this wonderful family, when no one has ever got sick from their cheese. In the meantime, the drug companies kill hundreds of thousands of Americans every year with drugs approved by the same government. At the bottom of this article, I have added the backgrounder and press release about this case from the Farm-to-Consumer Legal Defense Fund. Just so folks have the rest of the story. Thanks, everyone for your support of this farm. Say prayers and send money! Thanks, Kimberly! Say prayers and send money, indeed! Hartke is my Favorite Blogger!